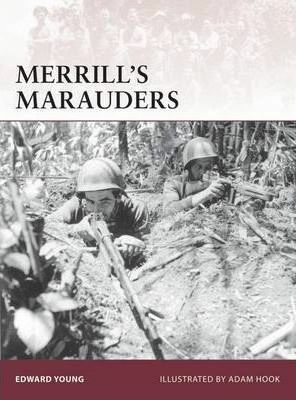 Merrill's Marauders were the first American Army infantry unit to fight in the China-Burma-India theater, and one of the most renowned units to come out of World War II. The Marauders established a lasting reputation for hard fighting and tenacity in the face of adversity, combating a determined enemy, some of the most difficult and disease-ridden terrain in the world, and a seemingly indifferent higher command. Pushed beyond the limit of their endurance, at the end of nearly six months of operations behind Japanese lines, the remaining Marauders were withdrawn from combat after suffering over 90% casualties. Because of its courageous actions, the unit received the very rare honor of having every member presented with a Bronze Star for gallantry. This book explores the creation, training and combat experiences of the Marauders, one of the most famous units in the US Army's roll of honor.